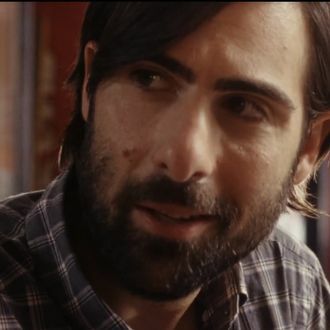 In Alex Ross Perry’s acclaimed new comedy Listen Up Philip, Jason Schwartzman plays an author so utterly convinced of his own genius that he regularly upbraids the people in his life (including his patient-till-now girlfriend, Elisabeth Moss) for failing to meet his unreachable, unreasonable standards of living. 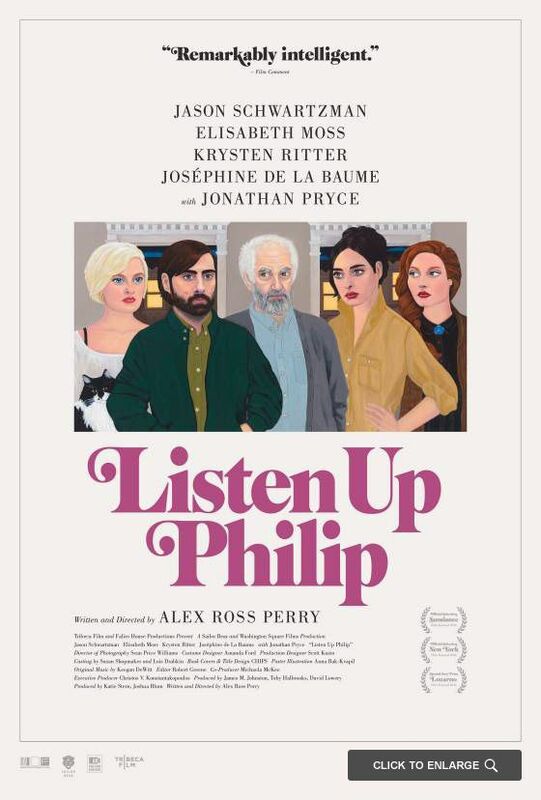 If he ever let anyone get a word in edgewise, Philip would doubtlessly deserve a talking-to, and in this exclusive, delightfully illustrated new poster for the film (painted by Anna Bak-Kvapil and designed by Teddy Blanks of CHIPS, who also created all the book covers in the film), you can meet some of the characters who have a bone to pick with our prickly protagonist. Find out whether they can get through to Philip when the film comes out October 17 in theaters and on VOD and iTunes October 21.